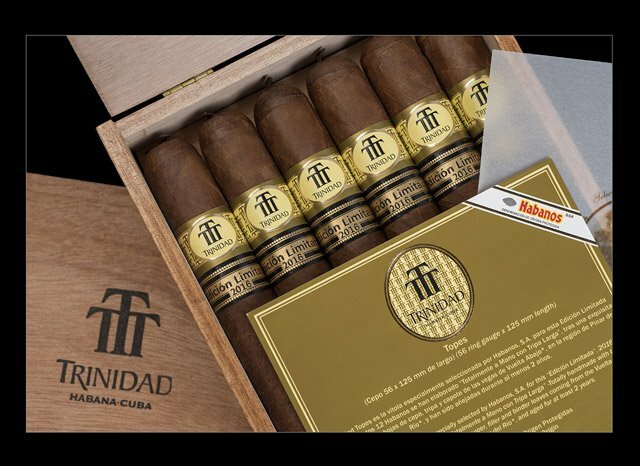 Together with the Romeo y Julieta Capuletos and the Montecristo Dantes, the Trinidad Topes 2016 Limited Edition were announced as the second of the three chosen limited editions for 2016. It’s presentation took place in Venice, Italy, in the Palacio Ca’ Vendramin Calergi, overlooking the Venecia Canal Grande . The venue rarely has private events, and its hosts, The House of Cigars, made a spectacular presentation, including a pairing with the Trinidad Reyes. approximate 45 minute smoke. 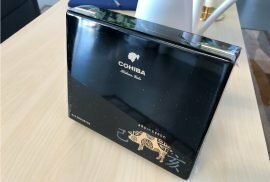 It has it’s own vitola, Topes, and is a Robusto cigar. Like all Limited Editions, all parts of this cigar have been aging for at least 2 years before being released. 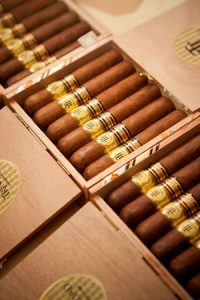 When you open the box of 12 cigars, the first thing you notice is the golden-brown color it has, and the oily wrapper. We have seen quite a few of the boxes, and can say that there is a quite heterogeneous mix in the amount of veins and imperfections. 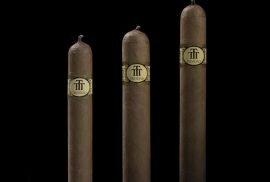 Like all Trinidad cigars, the Topes has a convenient pigtail to open it. Something one can’t argue with is the great draw this cigar has. From the very beginning, specially if using the pigtail, you can feel a great flow of smoke. 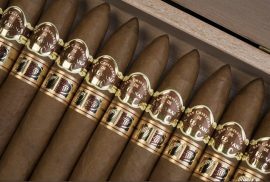 However it will be around the middle of the second third where you can trully see the shift from the medium to the full bodied cigar. The flavor is something else altogether. Even though we have tried and enjoyed this cigar, there is quite a large room for improvement in the quality of the cigars. The favlors are there, but need to develop more, and really flourish in this young cigar. 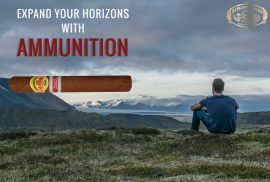 We definitively recommend to buy a few of these, store them in your humidor for some time, and really enjoy their full potential in a few years. At least, thats what we are doing here!